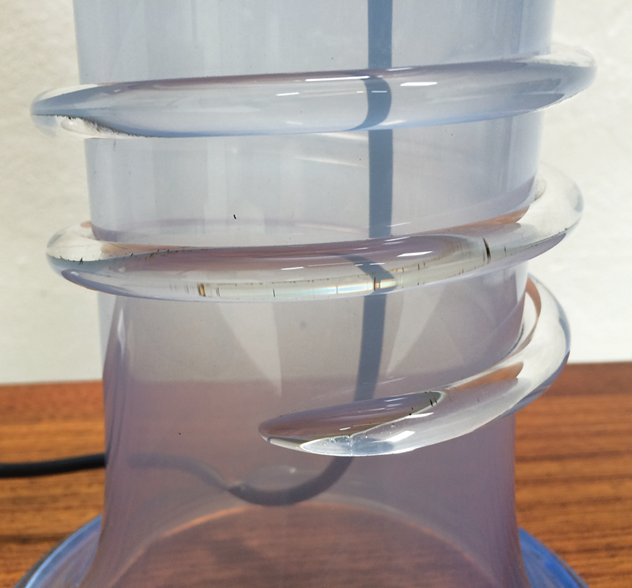 1980s Swedish Glass Table Lamp designed by Hannelore Dreutler. A joint collaboration between Swedish lighting giants Ateljé Lyktan and artisan glass producer Studio Åhus, resulted in a range of table lamps produced during the early to mid-1980s. Signed and dated ‘Studio Åhus 1981’. 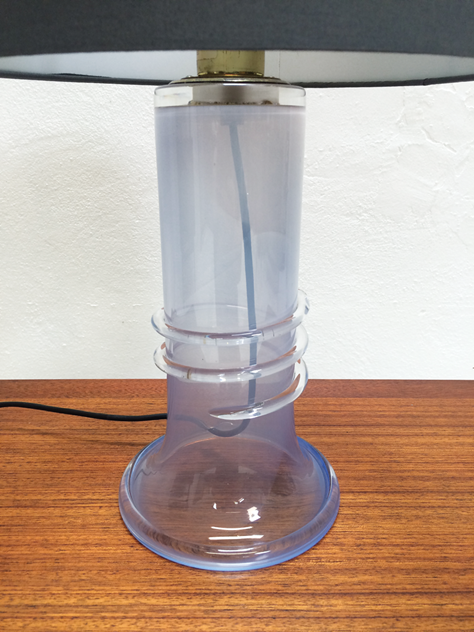 The milky blue lamp base stands 40cm tall, not including the shade height, which is dark grey.